Frost heave is an upward swelling of soil due to the formation of ice during freezing conditions. It usually occurs when the freezing temperature penetrates the soil and turns the present moisture into ice thereby generating an upward movement in the soil. The size of ice mass increases because of the continuous supply of moisture through capillary action. Soil weight might restrain the influence of ice and generate ice lenses. Nonetheless, ice lenses can move the soil layer upward. 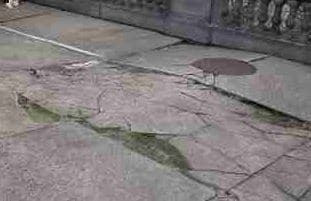 Frost heave inflicts considerable damage to roads, channels, foundations and subsequently, the superstructure. In order to prevent the detrimental effects of frost heave, it is necessary to understand how it works and identify the basic elements which lead to its occurrence. After that, proper measures can be set up to prevent it. As freezing temperature penetrates into the soil, it converts the soil’s moisture into ice. When moisture at freezing area solidifies, water from other parts of soil would move toward freezing area through capillary action. This leads to the increase in the size of ice mass. Soil weight and other objects above would restrain ice size growth and consequently, ice lenses are formed. When freezing temperature further penetrates into the soil, it leaves ice lenses behind. These ice lenses continue to grow towards the area that loses temperature which is toward soil surface. The ice lenses are capable of thrusting the soil layer upward. 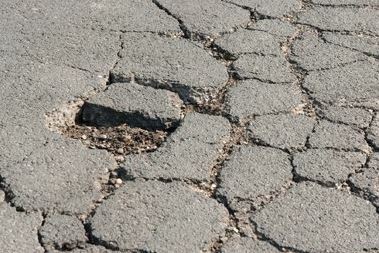 It creates cracks in the soil and causes damages to foundations and subsequently to the superstructure. It is reported that, when moisture converts to ice, its size increases by 9%. Fine grain frost-susceptible soil, moisture that continuously supplies water to ice lenses, and freezing temperature are the basic elements of frost heave action. When temperature declines, the ice melts and the structure lows back to its location under its weight. When freezing and thawing process repeats, it would severely deteriorate and possibly collapse. Destruction of channels in freezing season. Decline in load carrying capacity of subgrade. 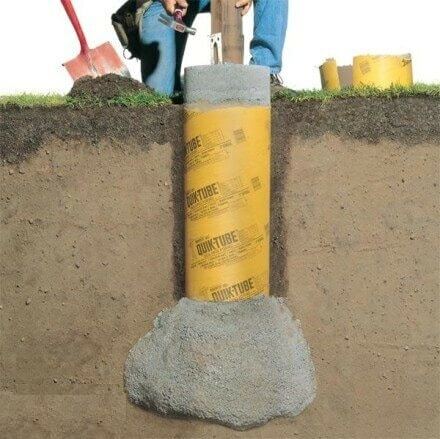 Provision of frost heave prevention systems such as hydronic heating system. 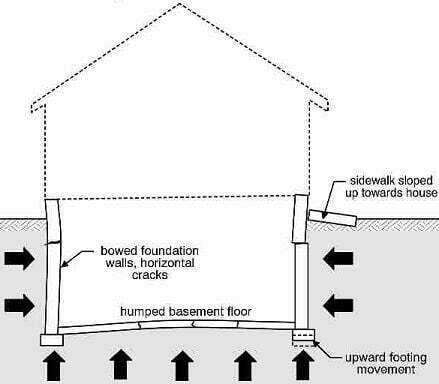 Extend foundation such as piers below frost line. 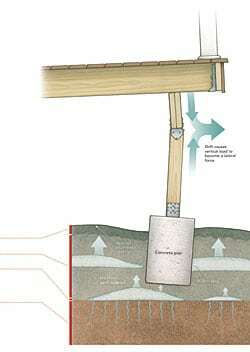 Provide backfill materials such as gravel around foundation so as to encourage water drainage. Use sleeve to avoid ice from gripping the concrete. Construct footing that withstands upward movement. For road construction, replace fine grain frost susceptible soil with coarse granular soil. Use capillary breaker so as to prevent movement of water toward freezing front and consequently decline frost heave influence.